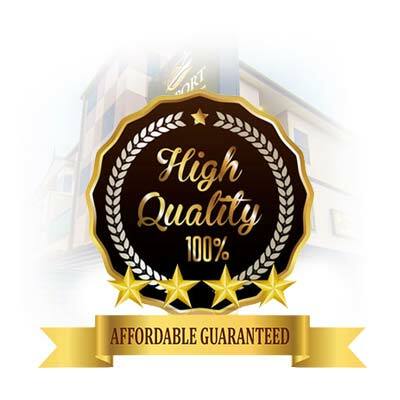 A 4 Star Premium Grade Motel With High Quality Service! Airport Ascot Motel is a modern 4 Star premium grade motel, ideally situated in the River City of Brisbane. Located only a short distance from both the Domestic and International Airports, it makes easy access to ferries, restaurants, Brisbane Cruise Terminal and more, right from the Motel’s front door. If fine food and fashion appeals to you, then you will love being within walking distance of cosmopolitan Racecourse Road, Hamilton Harbour and Portside Cruise Terminal. Here you will find a fantastic selection of restaurants, bars, cafes, boutiques, supermarkets and a movie theatre. Travelling a little further by car, ferry or bus you can easily get to the CBD, Suncorp Stadium or Boondall Entertainment Centre, perfect if you’re visiting for a show or game. Because we are so close to CBD and all modes of transport, we make a perfect rest stop if you are visiting Brisbane for business or pleasure. Airport Ascot Motel’s friendly staff will warmly greet you and ensure you have everything you need to make your stay a comfortable one. High quality service & cleanliness is such a priority when it comes to the Airport Ascot Motel, that when it is time for you to leave, your stay will have been a memorable one and we welcome you to revisit when next in Brisbane.